Even though he is not a big Bible reader, over and over, my ex-husband said, “the truth will set you free” from the Book of John. Dwight told me, “When you write, tell the truth – even if it makes you look bad. Today, Labor Day marks the end of summer. Here’s the truth inside my lie. In early spring, I began my battle with what Winston Churchill called, “the black dog.” Depression followed me wherever I went. With each panic attack, my heart beat faster. But, what I had was not visible on the outside. I did not break a bone. I did not have skin cancer. Other than a dramatic and frightening weight loss that brought comments like, “You look like Skeletor” and “There is such a thing as too thin,” what I had was not visible. For my entire adult life, I was the party planner, the instigator and the fun friend. I understand. I changed. I was not the person they knew. I was not what they expected. I was no longer the party planner and fun friend. I disappointed them. But, there were others. True friends: friends who sacrificed Saturday nights to sit on the sofa with me; a neighbor who said to his wife, “if you don’t see Julie out with the dogs, we need to check on her;” another friend who walked across the street and texted to make sure I was okay. I am fortunate to have honest and open friends who shared their experience with anxiety and depression. They allowed me to talk. They listened. Others knew this was a part of my journey and watched from the wings – waiting. During the summer, there were days when I could not leave the house. 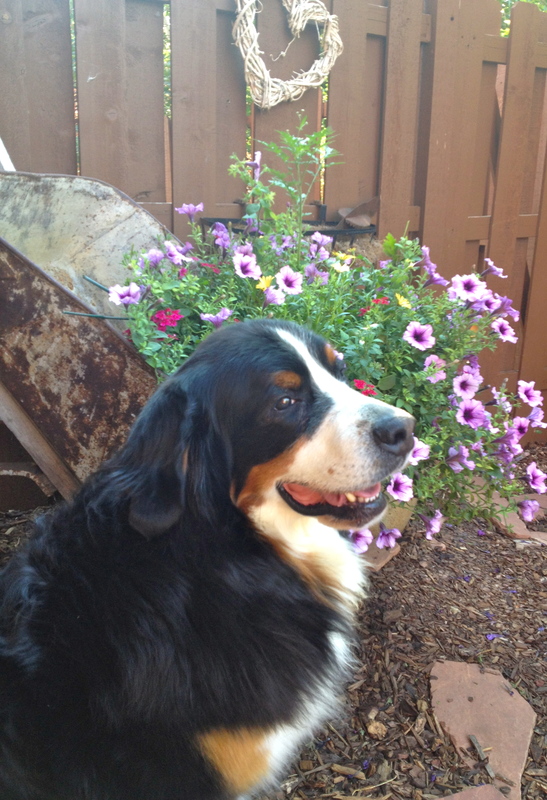 At this time, I was grateful for the support from my Facebook friends that I met through my Bernese Mountain Dog, Faith. While social media can isolate and make one feel even more left out, in this case, friends I have never met sent me meaningful messages, notes and gifts to inspire and uplift me. For me, the depression and anxiety took away my appetite. However, when the panic attacks hit, I could not pull myself off the sofa. I could not find the energy to get up and eat a banana or make breakfast. Therefore, I lost more weight. Through talk therapy, I learned that in my core I believed I was not enough. My dad had Scarlet Fever as a child. It killed almost one-quarter of his heart. When I was six, our family planned a trip to San Francisco. As we packed and prepared to leave on a Saturday morning, my dad mowed the lawn. While mowing, he had a massive heart attack. He made it to the back door. My mom got him onto my bed and told me to put on my shoes. As a family, we tried to do “enough.” We tried to be quiet enough for my dad to rest. We changed our diet enough to keep him healthy. We stopped taking piano lessons because it stressed my dad out when we did not practice. But, to be clear, whether ignorance or arrogance propelled me to be enough to change the eventual outcome, we lived in a home that was filled with love. Even though my father had half a heart after 1977, he provided for our family. I wanted for nothing, including love. One year, at a daddy-daughter Halloween party, there was a game where dads pulled their girls on a broom across the gymnasium floor. Because my dad had just had open-heart surgery in 1983, another father offered to pull me. My dad said, “no.” He pulled me. Inside me, however, I felt like I could not be enough. Therefore, when I suffered another loss, it triggered the depression I did not let in at six or eighteen, when my dad died. The therapist insisted I see a doctor. Wellbutrin did not work, but Zoloft did. With medication, I felt better. My furry family reacted to the depression. Faith became anxious. Booker would not leave my side. Gus watched me. They were patient. Again, the vicious cycle continued . 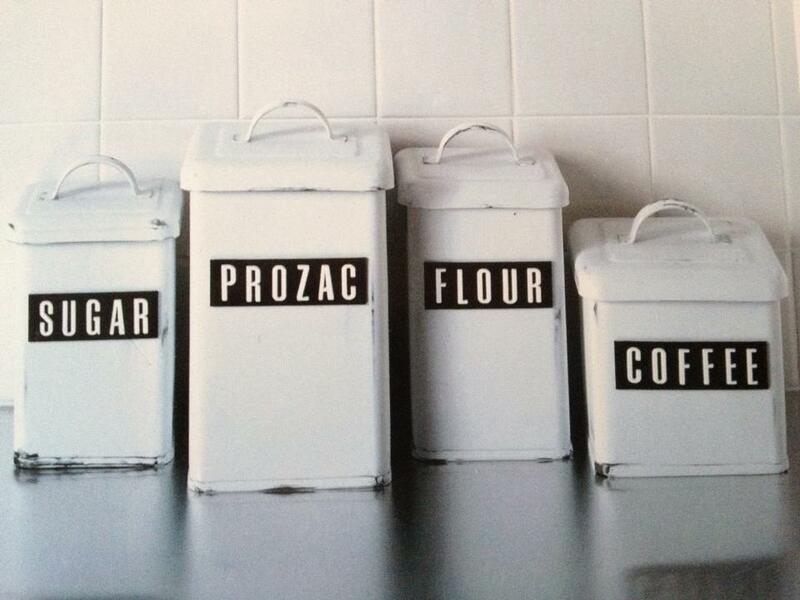 . . the medication repressed my appetite. I started seeing a nutritionist. We identified ways in which I could simply, yet efficiently, eat. Without fuel, the body, the brain and the heart cannot heal. There was no way for me to return to Julie without nourishing myself with food and friends. The combination of medication, time, true friends, and talk therapy helped. Finally, I decided to move forward. In fact, I’m better than okay. I am more compassionate. I am more understanding. I am a better friend. I am a better teacher. I am a better person. However, there is still a part of me that is embarrassed. There is a part of me that thinks I should have been able to manage my feelings, my loss, and my nutrition by myself. Fortunately, the embarrassment means less than making sure others do not experience this in isolation. This entry was posted in anxiety, depression, Dogs, Emotional Support Animals, faith, Friends, life lessons, relationships. Bookmark the permalink. You. Have. NOTHING! to be embarrassed about. You are human. You are filled with humanity and compassion… far more than so many others, including some who clearly not worthy of your friendship. I admire you for sharing your struggles, and love you for the human you are!